Dr. Michael Archer is a Professor of Paleobiology in the School of Biological, Earth and Environmental Sciences at the University of New South Wales in Australia. Mike received his undergraduate education from Princeton University in Geology and Biology. He was awarded a Fulbright Scholarship to study in Australia and remained there to earn his PhD in Zoology from the University of Western Australia. 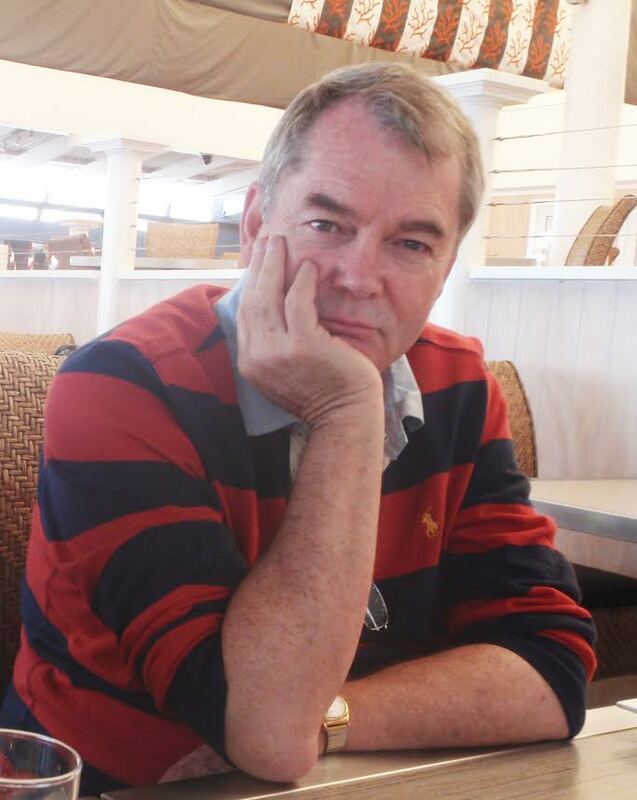 Mike has since worked at the Western Australian, Queensland, and Australian Museums, and he joined the faculty at the University of New South Wales in 1978. Mike has received many awards and honors, including being named one of the Top 100 Most Influential People in Sydney in 2008, receipt of the Riversleigh Society Medal, the TH Huxley Award from the Australian Museum, and the Australian Centennial Medal from the Federal Government of Australia. He is a Member of the Australia Institute of Biology, as well as a Fellow of the Royal Zoological Society of New South Wales, the World Academy of Arts and Sciences, the Australian College of Educators, The Australian Academy of Science, the Royal Society of New South Wales, and Australia 21. Mike is here with us today to tell us all about his journey through life and science. Mike spends his free time watching Sci-Fi movies, including classics like Jurassic Park (one of his all-time favorites). Mike is a paleontologist who is fascinated with understanding the continuity of life over billions of years. As a kid, Mike felt a strong connection with animals and the natural world. He was delighted to discover a boulder in his backyard that had likely been dropped there by a glacier. This boulder was packed with fossils and was his first introduction to the fossil world. Mike used to travel by train to the American Museum with suitcases full of fossils to be identified. It turned out he had discovered fossils that were over 370 million years old! Mike developed back problems after years of moving fossil-filled limestone in sacks across a site called Riversleigh. To immobilize his back enough to allow it to heal, Mike had to wear a plaster jacket that looked like a turtle shell. However, this shell couldn’t stand between Mike and his science. He continued working in the field, giving lectures, and going about his normal activities. While visiting Cairns to deliver a lecture, Mike caused quite a scene at the hotel fervently pursuing cane toads while wearing his shell. In 1983, Mike began to suspect that the fossil deposits at Riversleigh in Queensland may be more extensive and remarkable than they imagined. His team began to experiment with explosives to try to unearth new areas to explore. One member of the team retreated to a quiet area in preparation for the next explosion and happened to sit on a rock with tiny backbones embedded in it. This exciting find was just the beginning. They went on to discover 34 different never before seen mammals in a rock the size of a human head. This work likely contributed to Riversleigh becoming a World Heritage Site. Patagonia tops the list of Mike’s favorite places. While there, a student stumbled across an unusual tooth that resembled what they were finding from ancestral platypuses in Riversleigh. It was so bizarre to see fossils from an animal that is so distinctly Australian turning up halfway around the world. This was striking evidence of how these lands had been connected many years ago. Mike was also deeply impressed by the beautiful desert and powerful winds of Patagonia. Practical Jokes are a big part of paleontology. He participated in an elaborate prank involving the creation and launch of imitation giant crocodile eyeshines in one of the rivers they were working near. During an evening canoe ride with an unsuspecting co-worker, they encountered the decoys. Mike made sure to get quite close (to the terror of his fellow researcher) before “accidentally” tipping the canoe. If most people are convinced something is true, it is probably wrong. Also, if you can imagine it, try it. Mike was born in Sydney, Australia, but grew up in Appalachia in the USA where, while learning to play the banjo and make moonshine, he became obsessed with fossils from the age of 11. After graduating from Princeton University he returned to Australia, did his PhD in the University of Western Australia, became Curator of Mammals at the Queensland Museum, Lecturer in the University of New South Wales, Director of the Australian Museum in Sydney, Dean of Science at the University of New South Wales and now a Professor and leader in the Evolution of Earth & Life Sciences Research Group at UNSW. His research projects focus on the deep past such as the World Heritage fossil deposits at Riversleigh, the fragile present such as conservation through sustainable use of native resources including having native animals as pets, securing the future based on the wisdom of the fossil record, and trying to bring extinct species (e.g., the Gastric-brooding Frog and the Thylacine) back into the world of the living. He has supervised more than 50 higher degree research students, produced over 300 scientific publications including 15 books and received 25 awards including Fellowships in the Academy of Science, Royal Society of NSW, Royal Zoological Society of New South Wales, Australian College of Educators, World Academy of Art and Science, Eureka Prize for the Promotion of Science, and Member of the Order of Australia. To learn more about Mike, visit his profile at the University of New South Wales, read about exciting discoveries at one of their dig sites, review a short interview from the Australian Academy of Science, or tune in to his TED talk on resurrecting extinct animals.